Whether we are speaking of floors in a factory, in a huge car repair garage, or in a hospital, industrial floors have to last under the toughest of working conditions, thus they all start off with concrete. But, even concrete is subject to dis-figuration, cracking and staining as time wears on. Thus, even those industrial floors need concrete polishing, or epoxy flooring to make the flooring system beautiful once more as well as serviceable. There are so very many things that can be applied to an industrial floor though. These run from polishing to various coatings such as epoxy and urethane’s, each with their own advantages and negatives with regard to how well they protect the concrete to how long they take to cure or dry. No matter your industry, it is understood that it is your desire to obviously protect your flooring. In addition, this wise move on your part will greatly improve the aesthetics of your floors, and will save you a tremendous amount of money in the future. You see, if you choose the right product you are in effect protecting the entire surface from costly replacement requirements as well as stopping wear and tear from corrosion and chemicals. 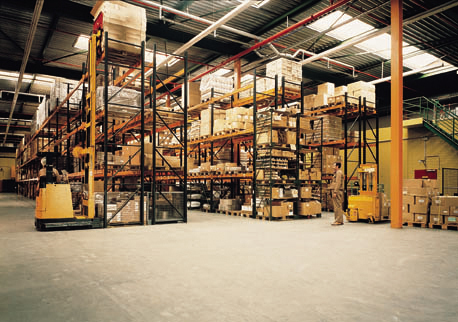 In addition you are greatly reducing the costs of floor maintenance and cleaning costs. Putting down a new gleaming floor means that you will also greatly increase light reflectivity. What this means is less demand for auxiliary lighting, as well as brightening up the work area, maximizing productivity, and improving safety. Likewise workers are better protected and become even more efficient with the proper industrial flooring. •	Completely seamless. That makes it perfectly hygienic. It can never conceal any bacteria thus there are no odors ever associated with it. •	Extremely easy to clean. There are never cracks nor pinholes related to it, so any liquids dropped can be cleaned up quickly and easily. •	Anti slip. Your employees and the public will be completely safe on Silikal, even if grease or water is on the surface. •	Totally durable. 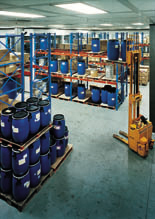 Equipment such as forklifts cannot mar it, and neither do any chemical spills. •	Amazingly swift curing. Unlike most flooring products, once it is properly applied, it requires only one hour to totally cure. You can then even drive a forklift over it! •	It is totally no-VOC flooring. It can even be applied with others in the building, as there are absolutely no odors from it at all! •	Its appearance will remain the same for years and years. In addition, there will be no need for polishing, or the expense of volatile cleaners ever. One could laud the product much longer, but instead do yourself the favor of looking into Silikal yourself for your industrial floors; there are just so many good reasons for you to do so. If you own a restaurant, you may need to resurface the kitchen floors often in order to keep the cooking area as clean as possible. The kitchen area can become very dirty, especially if you do not have the means to keep it in immaculate condition. There are many types of industrial flooring that is great for restaurants but none compare to the durability and longevity of the Silikal concrete resurfacing. Once food hit’s the floor, the bacteria immediately starts to grow, especially if it is not discovered and picked up immediately. You should also consider safety as a factor in flooring. You can completely place a new flooring down or you can resurface the flooring with Silikal concrete resurfacing which would be perfect for any restaurant or food flooring. The overall décor of the floor should not be the priority in the industrial kitchen. It should be saved for the dining area. Instead, make sure that the kitchen flooring is safe and germ free. You want the kitchen to be slip resistant and you can get that with the Silikal concrete resurfacing. Spills happen all the time, grease constantly pops out of the pan and on to the floor. Water gets sloshed out of the pans, and food gets accidentally spilled off of the plates but nothing is worse than to have a worker falling on the flooring. This can cause extreme injury not to mention a loss of time in the kitchen. 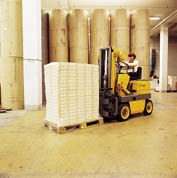 You want to protect your workers from a bad fall with a Silikal flooring system. Easy maintenance is also important in Silikal concrete resurfacing. You can find several different ways to keep floors safe but you need to be able to maintain them too. If a floor is too hard to keep managed all the time, you will find that it becomes a real hazard. When the kitchen is closed you don’t want the cleaning to take a long time. There are many reasons to use Silikal concrete resurfacing on your kitchen flooring. If you want a flooring that will last for years to come, this may be the answer for you.